First, they injure us with their GMOs and toxic pesticides. Then they insult our intelligence. Unable to reach a compromise and/or get the votes they needed this week, the U.S. Senate Committee on Agriculture, Nutrition & Forestrypostponed action on a federal bill to preempt Vermont’s GMO labeling law until Tuesday, March 1. But it’s only a matter of time. 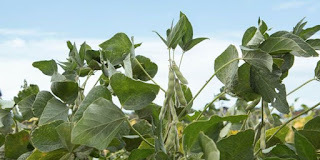 Sen. Pat Roberts' (R-Kan.) bill to kill GMO labeling will likely be the subject of a heatedAg Committee debate next week, when Sen. Debbie Stabenow (D-Mich.) and others will push for a compromise aimed at keeping Vermont’s law from taking effect July 1. Perpetrators of the bill, which is full of holes according to this latest legal analysis, are having trouble gaining bipartisan support. Vilsack also raised the bogus cost issue again, even though it’s been debunked time and again, and finally put to rest by Campbell’s Soup Co.’s announcement that it will label GMO foods at no cost to consumers. Ag Committee member Donnelly also spoke to PolitcoPro this week, and like Stabenow, pushed for a compromise that would include a combination of delaying Vermont and/or allowing food corporations to opt for QR codes instead of on-package labels. Dial 888-897-0174 to call the Senate Agriculture Committee! San Juan, 24 feb (EFEUSA).- La multinacional estadounidense Monsanto apuesta como eje regional para la producción de semillas por Puerto Rico, territorio caribeño en el que la compañía de biotecnología invirtió 5 millones de dólares en el último año. El responsable de Asuntos Comunitarios de Monsanto en Puerto Rico, Miguel Pereira, dijo hoy en declaraciones a Efe que la isla es clave para el proceso de investigación y desarrollo (I+D) de semillas de algodón, maíz y soja, razón por la que la compañía seguirá invirtiendo capital y recursos en el territorio caribeño. "Puerto Rico es un eslabón en la cadena, ya que su clima -tropical- permite realizar durante todo el año investigación y producción", dijo el directivo sobre la actividad de Monsanto en la isla caribeña, donde mantiene operaciones desde mediados de la década de los años 90 del pasado siglo. 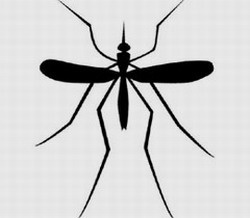 En el contexto de temor construido por la expansión del virus zika y su supuesta relación con microcefalia, uno de las propuestas más riesgosas que se promueven es liberar billones de mosquitos transgénicos. No hay pruebas de que esto sirva para disminuir las enfermedades –incluso podría aumentar los casos o hacerlos más graves– e implica liberar al ambiente insectos transgénicos, con impactos impredecibles en ecosistemas y potencial mutación de virus y otros mosquitos. El costo de producirlos es alto y el negocio de quienes promueven los frankenmosquitos es que se destinen recursos públicos a estas riesgosas tecnologías, drenando fondos que deberían usarse en enfoques realmente útiles de prevención y atención colectiva de los diversos factores que influyen en el desarrollo de las enfermedades. Now we know why. It seems that Gary Hirshberg, chairman of the board of JustLabelIt (JLI), along with USDA Secretary Tom Vilsack and Sen. Debbie Stabenow (D-Mich.), are working behind the scenes to broker an (unacceptable) compromise, and to sell that compromise to the GMO labeling movement. Reliable sources tell us that the compromise Hirshberg, Vilsack and Stabenow are floating is one that would delay implementation of Vermont’s GMO labeling law for two years, while giving corporations the option to adopt QR barcode technology to label GMO ingredients. Any compromise that lets food companies off the hook for mandatory, on-package labels, and preempts or delays Vermont’s law is unacceptable. Such a compromise would sound the death knell for the GMO labeling movement. A two-year delay in Vermont means Vermont’s law is as good as dead. We don’t need this compromise. Roberts himself has suggested that any bill preempting Vermont’s law would likely not get Senate approval—not during an election year, and especially not during an election year marked by a contentious debate over a Supreme Court vacancy. But a bill just delaying Vermont’s law? Thatbill might pass, and be signed into law. We've fought too long and too hard for Vermont's GMO labeling law to let corporate greed and corrupt politics steal this victory out from under us. Hirshberg reportedly is asking members of JLI’s board to support the compromise. We’re asking consumers to ask JLI board members to reject it. We also will continue to voice our opposition, often and loudly, to Roberts' bill, or any bill that would preempt Vermont. That's where all our efforts should be focused—not on a compromise that serves no one but Monsanto and Big Food. We can only speculate as to why Hirshberg would be meeting with U.S. Senators to convince them to delay Vermont’s law and support a QR code scheme that the majority of consumers reject. Last year, OCA called out Hirshberg for hosting a $2700-a-plate fundraiser for Hillary Clinton. Clinton is a big fan of Monsanto and GMOs. Tom Philpottreminded us this week about a 2013 Food & Water Watch report revealing that under Clinton, the U.S. State Department conducted a "concerted strategy to promote agricultural biotechnology overseas, compel countries to import biotech crops and foods they do not want, and lobby foreign governments—especially in the developing world—to adopt policies to pave the way to cultivate biotech crops." Is Hirshberg cozying up to Vilsack and Clinton? Hoping for a plum assignment in a Clinton administration? JLI promotes itself as the poster child of GMO labeling advocacy. We hope its board of directors will stand with consumers and the GMO labeling movement, and reject this ill-conceived compromise. If they don’t, donors to JLI should ask for refunds. TAKE ACTION: Tell JLI Board Members: Don't Stab Us in the Back! Reject the Latest GMO-QR Code Labeling Compromise! Just when the biotech companies that make transgenic seeds are merging, the corporate vision of biotechnology is showing up at FAO. 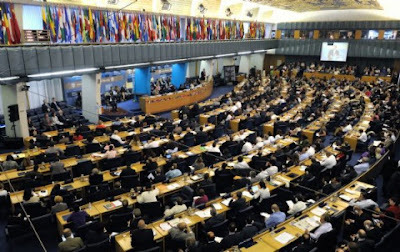 At today’s opening of the three-day International symposium on agricultural biotechnologies convened by the Food and Agriculture Organization of the United Nations (FAO) in Rome, more than 100 civil society and social movement and organizations (CSOs) from four continents have issued a statement denouncing both the substance and structure of the meeting, which appears to be another attempt by multinational agribusiness to redirect the policies of the UN agency toward support for Genetically-engineered crops and livestock. A recent claim in a Forbes op-ed is flat-out wrong and shows no understanding of constitutional law. The move by the state-owned ChemChina comes on the heels of last year’s announced megamerger between DuPont and Dow Chemical—a deal that would leave only three firms controlling more than three-quarters of the corn and 80 percent of the soybean seeds in America. Today’s deal dwarfs the takeover of formerly U.S.-owned Smithfield by WH Group in 2013. The Department of Justice and antitrust authorities of governments across the world must act to block these seed megamergers. For a decade, six multinationals have controlled 75% of the world’s high-tech seeds and pesticides businesses. 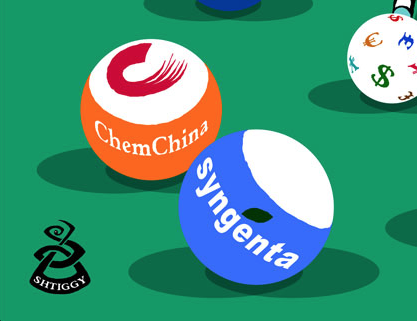 Late last year, Dow and DuPontagreed to merge and now state-owned ChemChina is buyingSyngenta for $43 billion. This means that Monsanto needs a merger to stay in the game. Or, is the game about to be called? 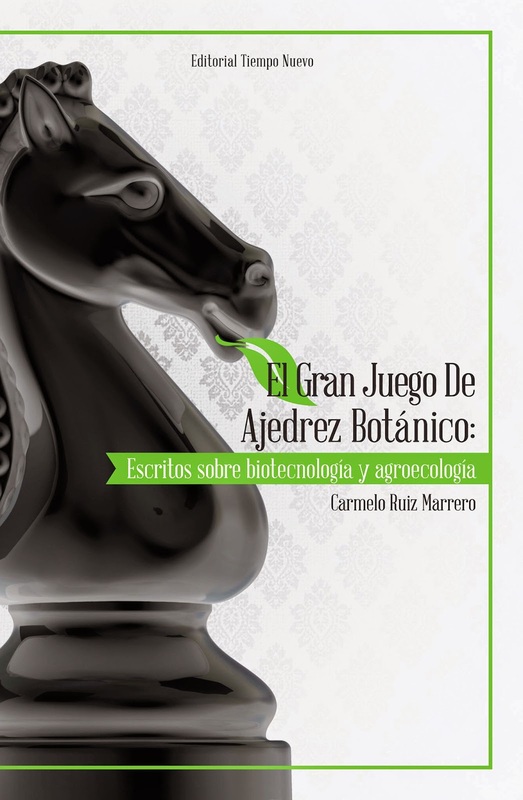 La corporación estadounidense Monsanto, mayor semillera y compañía de biotecnología agrícola del mundo, está en una situación desesperante. Terminó el 2015 botando a la calle a unos 2,600 empleados, y en enero de 2016 anunció que botaría a mil más. Esto equivale a 16% de su fuerza laboral. Según el International Business Times, esta drástica reducción de personal obedece a una reestructuración que aspira a ahorrarle a la compañía $500 millones para el fin del año fiscal 2018. I am writing to you as co-director of the consumer group US Right to Know (USRTK). Your editorial in the October issue entitled “Standing up for science” contained many indefensible statements. It falsely accused us of a “smear campaign” in investigating the food and agrichemical industries, their public relations firms and front groups, and the professors who speak for them. Just because it is legal to lie and hide corporate contributions doesn't make it ethical. At one point, Folta even wrote to a Monsanto executive, “I'm glad to sign on to whatever you like, or write whatever you like.” This is not a shining example of integrity in science. Your editorial neglects to mention that Folta used text that was ghostwritten by the public relations firm Ketchum (New York) for the website GMO Answers (https://gmoanswers.com/), and—incredibly—in a recent interview he defended this as an acceptable practice for scientists (http://www.buzzfeed.com/brookeborel/when-scientists-email-monsanto). For the record, USRTK is not an anti-GMO group. We are a consumer group. We believe genetic engineering of crops may someday have benefits; however, it should proceed only with full transparency, as well as stringent health and environmental testing and safeguards. We are working for transparency, accountability, the integrity of science and public institutions, and to improve our nation's food system. We are not out to 'get anyone'. Folta's main complaint is that his e-mails were cherry-picked; however, unlike WikiLeaks, we chose not to post thousands of pages of documents obtained through the US Freedom of Information Act exactly because they contain personal e-mails and other material that are not relevant to our investigation. We do release to journalists, or in some cases directly to the public, specific newsworthy documents about food and agrichemical industry PR and lobbying tactics that highlight what they do not want consumers to know about our food. But a larger issue looms beyond the specifics of Folta's relationship with Monsanto; the incident highlights a wider problem in the systems we have for assuring transparency concerning disclosure of financial interests of academic scientists. Although drug and medical device manufacturers are required under the Physician Payments Sunshine Act to disclose payments to doctors and teaching hospitals, at this time, there is no similar requirement for food or agrichemical companies. USRTK believes there should be. Collaboration between industry and academia can be beneficial as well as problematic; transparency must be the guiding principle for such relationships. Scientific journals, such as Nature Biotechnology, have an important role to play in advocating for transparency in funding, lobbying and public relations conducted by university scientists. We hope to hear more from your team on that topic. We want to encourage scientists to communicate with the public to create a thriving science-based society. The problem comes when such communication is reduced to misleading PR talking points to promote commercial products and corporate profits.